All natural honey and vanilla. COMMENTS: Even with the bottle under my nose I can barely smell anything. So far in products the smell isn't detectable. COMMENTS: Lovely In beeswax candles ?? 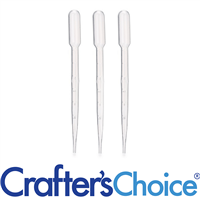 COMMENTS: I make sweet little wax melts with this and it goes hand in hand with the beeswax I add to give structure to my wax melts. Love this scent! Really comes through when warmed. I want to try this in a lip balm next! I need to replenish my supply soon. • Scent is spot on, love the honey scent! • Natural, great in my products! • Can be used in a variety of products. • Make the scent stronger. COMMENTS: I used this last evening in my OMH soap and oh my... I’m in love. It’s a very full scent to me, that makes me want to inhale deeeeeeeply!!! I read that it doesn’t stick, so I anchored it and added it at trace with no acceleration noted. Haven’t unmolded it yet, but I am very hopeful. COMMENTS: When I first smelled out of the bottle it smelled very faint but when I added it to a few different products it was very much like a beautiful honey scent...very true to smelling like honey and the scent held for a vary long time. If your looking for something that has a strong true honey scent this is it...and it is 100% natural. Mixed with an all natural lemon fragrance oil and it was Amazing. COMMENTS: I have used this in 3 different soap batches now and after 1 month of curing there is NO honey scent whatsoever. I really wanted to stick with all-natural fragrances as much as possible, but they just don't perform the way a high-quality FO would, and my customers don't seem to mind synthetic as long as it still smells after a month or two. COMMENTS: I'm not a fan of reading other reviews...purchasing a FO because someone else raved about it...only to find out they were just seeking a coupon and the FO wasn't "all that". This FO smells exactly like it's described. It smells like honey with a smidge of vanilla stirred in. It's NOT sickening sweet, candy like, or synthetic smelling. It smells just like honey. I am buying this again...especially with spring coming on. COMMENTS: Scent stays in CP soap pretty well. Makes a great addition to a goat's milk soap for sensitive skin. Customers love it. Have already reordered. "An awesome scent, with some odd quirks"
COMMENTS: Very lovely out of the bottle. I used it in my MP soap and scent did not hold. Has to be used in larger amounts then recommended for it to hold. COMMENTS: this scent is perfection! if you are considering this product absolutely buy it! COMMENTS: This is a very nice light and fresh clean scent. I've sold out of soap with this scent at my craft fairs. Time to order some more. COMMENTS: This is a great scent to mix with citrus and florals... Just a few drops compliments the main fragrance(s)... Buy itself its pretty good too but just alittle bit. COMMENTS: I have used this in MP, lips, face scrubs. I really like it; it is very versatile. COMMENTS: I had such high hopes for this scent mostly because it is 100% natural. I added this to melt and pour and the scent is almost unnoticeable. I let me soaps sit out for a small amount of time to "sure" and dry out a little to reduce the glycerin dew and the scent faded so much all I could smell was the smell of the melt and pour. COMMENTS: Wonderful fragrance!! Perfect in m & p honey soap!! My customers love this one! COMMENTS: I used this in a melt and pour soap recipe. It has a light scent and is perfect for facial soaps. I can't wait to use it in my lotion bars. COMMENTS: I pair this with orange and clove essential oils and it smells great! COMMENTS: Great smell, lit remind me of baking, the smell or vanilla and honey is incredible, you just want to keep the soaps with this scent glued to your nose. COMMENTS: Love this scent, it held nice in my melt and pour! COMMENTS: Smells great. Just like honey pulled from the hive. COMMENTS: I love this oil. It smells like honey! Will buy again! COMMENTS: Love that it is all natural. Great in lip balms. COMMENTS: Smells so good you'll want to eat it. Works wonderfully in my bee hot process soap to bring out the honey, beeswax & pollen in the soap. "Summer Honey - Certified 100% Natural "
COMMENTS: OOB I did not detect much of a scent at all. It was hard to determine, actually, what the scent was supposed to be. That being said, I can look at it as a positive, because paired with the Honey M&P Base, the scent wasn't too overpowering and I did sell a couple of bars. I will not purchase again though. COMMENTS: I love this scent in the face bar with the Myrrh Gum powder. This pairs so nicely with the non detergent honey soap, and customers live that it is all natural! 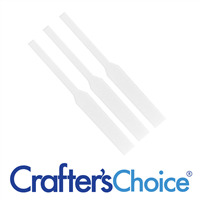 This product is helpful to people that have particular needs and those are return customers ! Why wouldn't I love that! COMMENTS: I make products for my newborn. This product has a light floral scent as well as grassy undernotes. It really softens and sweetens the smell of my products, which always contain lavender and/or chamomile e.o. Its great in d.i.y. baby powder. The honey smell also pairs great with sweet orange oil. The scent is very light in general, so you might need to pair it with another fragrance or e.o. COMMENTS: I couldn't really smell the scent in my melt and pour soap, but my kids love it. COMMENTS: Very nice soft vanilla honey scent, does not come through in cp soap but is perfect for body butters, bath bombs, and scrubs. I use this all the time and will defiantly order again. 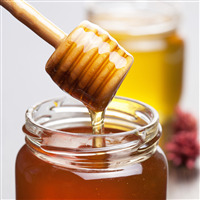 COMMENTS: I purchase a locally grown desert wildflower honey from a farmers market for cooking and eating (on fruit, toast etc.). This scent is so similar it makes me want to taste it. (I don't!) I make a couple of different products featuring honeyquat and Summer Honey fragrance is the perfect lightly sweet almost floral scent to compliment the products. So far my "beta testers" both men and women are very happy with this scent. I'm fortunate that they are a brutally honest group. I will expand the testing to kids as I think it's sweet enough to people to the kiddos too. "Not an appealing scent on its own." COMMENTS: I made a lotion using this scent alone, minimum amount used. Thankfully it was a small test batch which I gave to friends and family. Not one person gave favorable feedback. Various responses: smells like body odor, just don't like it. Next I blended it with other scents and it adds a hit of warmth. COMMENTS: When first opening the bottle it smells a bit chemically but when exposed to air a little while this goes away and has a really nice subdued scent for those that want a hint of scent but not overpowering. Sweet, but not overly sweet. I use this in lotion, body butter and sugar scrubs. COMMENTS: This worked great for my infused water blends. Amazing scent! COMMENTS: After reading the other reviews, I decided to try this in HP soap. Don't bother, didn't stick there either. Might try in a bath bomb to see if it will hold there but soap is a no go with this scent! COMMENTS: Smelled nice out of the bottle. Was not too thrilled with it in the finished CP soap. Fragrance faded and smelled quite different. COMMENTS: I use this in my Lotion Bars with a couple other oils and I is wonderful!!! the honey fragrance really comes through and I have one customer who just can't get enough of it. Will order again! COMMENTS: I added this to my honey base soap and it was a great addition. I decided to add it to my solid lotion bars and it mixes well and it has a sweet summer honey type scent. "Do Not Buy!! Does not work!!!" COMMENTS: The Summer Honey essential oil is terrible. I had to remake the soap 5 times because 2 ounces of oil per 12 4 ounce bars of soap was not enough. used whole bottle (16oz) and still soap has no smell. "So fresh and natural smelling!!!" COMMENTS: After reading other reviews I was very confused if I should or should not get this! I really wanted to because it is all natural and there were some good reviews, but there were a lot of bad reviews too. When it was on sale I decided to take the risk and got it. When I opened the bottle I thought it was terrible, and immediately all of the reviews talking about a "funky" smell came flooding back. But because I really wanted it to be good, I continued to give it a chance...and I am SO HAPPY that I did . I used it is a body butter and it is AMAZING!!! It is a light, sweet and natural smell! I have just started a face line with my business and this is going to be the scent of my products. I will absolutely buy this again!!! COMMENTS: I like that the Summer Honey is 100% natural, which is all I use in my soaps. The scent is really nice and works great in honey & oatmeal soap. Will be buying more! COMMENTS: This is a very soft scent and I wondered if it would hold, but it's two months later and I am just as pleased. I paired this with other EOs in a facial moisturizer and liquid makeup that I have been using daily, and it blends them all with just the right note. All-natural is a must for me when it comes to facial products - this one is a keeper, we love it! 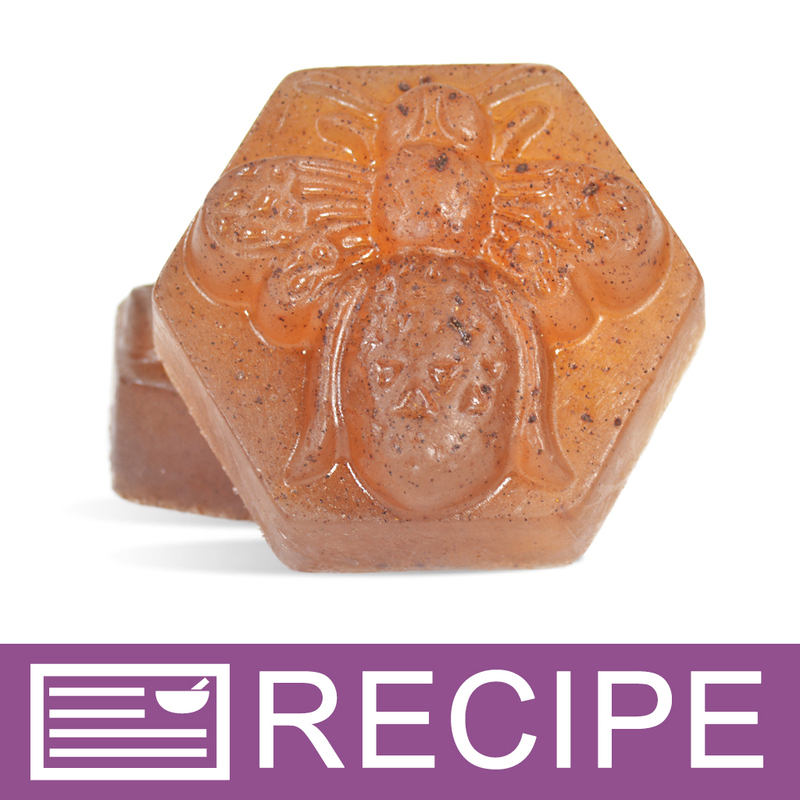 COMMENTS: I have made the honey facial soaps with this fo. It has a nice lightly sweet fragrance. Very calming. COMMENTS: This is one of my favorite fragrances. Warm, fresh, natural aroma is appealing in honey soap and bubble bath. I've made honey-scent soaps as gifts for friends they immediately bury their noses in it and breathe deeply. I can't get enough of this scent! • Beautiful aroma. Very natural fragrance. COMMENTS: Smells just like raw honey! COMMENTS: This smells good and is a super light scent ,but the scent pretty much disappears in the soap. COMMENTS: OOB scent was light. Completely disappeared in MP. COMMENTS: This all natural fragrance is a must for anyone who makes products for children, individuals with sensitive skin, or those who are trying to keep their beauty line as natural as possible. This fragrance smells just like vanilla and honey. It was sweet and light smelling in the bottle, but was strong enough to make an HP soap that I made with Neem oil smell nutty and bearable. I will be using this a lot more in my product recipes! • It's certified all natural!!! COMMENTS: I loved the fact that this fragrance is all natural and it smells great out of the bottle. BUT... don't plan on using this in CP as the smell disappears immediately. I was so disappointed when I unmolded my soap and could not even get a hint of the fragrance. I liked the idea of an all natural fragrance so much that I bought a 16 oz bottle. I am sure it will be fine in M&P. Also it is a lovely fragrance so I will use it up in body products and might even try it in liquid soap. COMMENTS: I used this FO in a detergent free honey soap base and love the way it gives a mild, sweet fragrance to the soap. My grandson has used the soap for a short time, and it has eased the itch of his eczema already. I'm happy to be able to give him something to ease his discomfort. Thanks for pure products! COMMENTS: The fragrance smells just like honey. It's just wonderful out of bottle and I was excited to use it in my honey facial bars but I used FAR more than I usually use (still within safe levels according to IFRA) and I can barely make out any scent at all. I tried again adding even more fragrance (still safe level) but all I ended up with was a significantly more expensive batch of soap that still barely puts off a scent. I'll try the other honey fragrance oils next time. "use in honey facial bar"
COMMENTS: great smell, not over powering. "real real honey scent that lasts"
COMMENTS: This is worth the extra cost. The honey scent in all my soaps and lotions is very natural. My m&p soaps turn honey amber and my lye and oil soaps turn an amber brown. I also like the honey shea fragrance and honey bear but this tops them. COMMENTS: I ADORE THIS NATURAL FO!!! Very rich and sweet and just like Honey, to me. 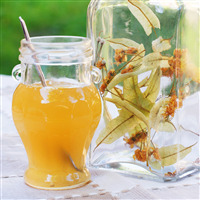 I have incorporated it with sweet orange EO, for many products that call for the lovely benefits of Honey. And ...,am planning a few other Honey products!! I do add a smidge of REAL HONEY, as well. So, that may be what helps my scent hold. "What? I love this stuff!!!" COMMENTS: I can't believe the bad reviews! This stuff is great. I even used some as perfume oil and sold out of it! This oil is really nice. "Not sure about this one!" COMMENTS: Tried it in a recipe that I found on your site for a face bar using your Detergent Free Melt & Pour Honey soap w/ myrrh gum powder in it....I like the way it smells oob, but it totally disappeared in the finished product, which probably isn't too bad in a face bar. So I thought I'd try it in your Detergent Free Goats milk melt & pour. I added some ground oat scrub & honey, and it pretty much disappeared in that base too. I can smell it but it's VERY light, I can smell the ground oat scrub over the scent. COMMENTS: I really wanted to like this fragrance since it's all natural but I just couldn't get over the smell. Maybe it's me but I did't like the smell of it. "Crafters Choice™ Summer Honey - Certified 100% Nat"
COMMENTS: I like this scent, however....it didnt seem to hold up in M&P bases. I had to use a lot, and supplement it with honey and vanilla. I dont think Id purchase this again, as the other scents are much better! COMMENTS: Its not as strong as our I assume honey should smell, but then i added some natural beezwax and voila, now it smells like summer honey. Kind of surprised it contained vanilla. COMMENTS: I use this summer honey in everything! I hope you get it back in stock soon. Its my go to scent in many of my products all year long. Everyone loves honey! "Smells good AND is Natural? BLAM!" COMMENTS: This SMELLS GOOD and IS NATURAL! Rare indeed. Blam blam thank you... M'AM!!! COMMENTS: Oh my goodness, this smells simply amazing! It is lightly sweet with undertones of vanilla, a perfect scent for a romantic or comforting feel. Also great for summertime! I love that it is all natural, too, that way my beauty product customers get a lovely fragrance without any added weird chemicals! I will definitely buy more when I run out! COMMENTS: I've tried this in several applications. CP Soap - don't waste your oil. It is not going to stick. HP Soap - pleasant natural honey scent that is perfect for customers who don't like very strong fo's. Bath Bombs - really nice sweet honey scent and once again a great choice for customers who prefer all natural and don't like super strong smells. Baby Lotion - this was the best application for me. The scent was definitely present yet was still just light enough to be perfect in my Oatmeal & Honey baby lotion. COMMENTS: Sweet additon to my Honey Almond M&P Soaps, Lotions,Shower Gels, & Scrubs. COMMENTS: I almost always use this in my perfume formulations. It gives a very nice smooth warm base note. It seems to anchor the other fragrances as well. I LOVE LOVE LOVE it! COMMENTS: This smells funky and musky right out of the bottle, but give the scent a few days to develop and it really takes on a mellow, golden scent. I ended up really enjoying this scent in perfume. COMMENTS: This smells just like honey! I love this scent. I've made body spray, lotion, body butter, and body powder with this fragrance and it's totally awesome! It's light and sweet not overpowering. I haven't tried in CP soap, but that's next. Great job! COMMENTS: I used this in lipbalm yesterday and love it!! 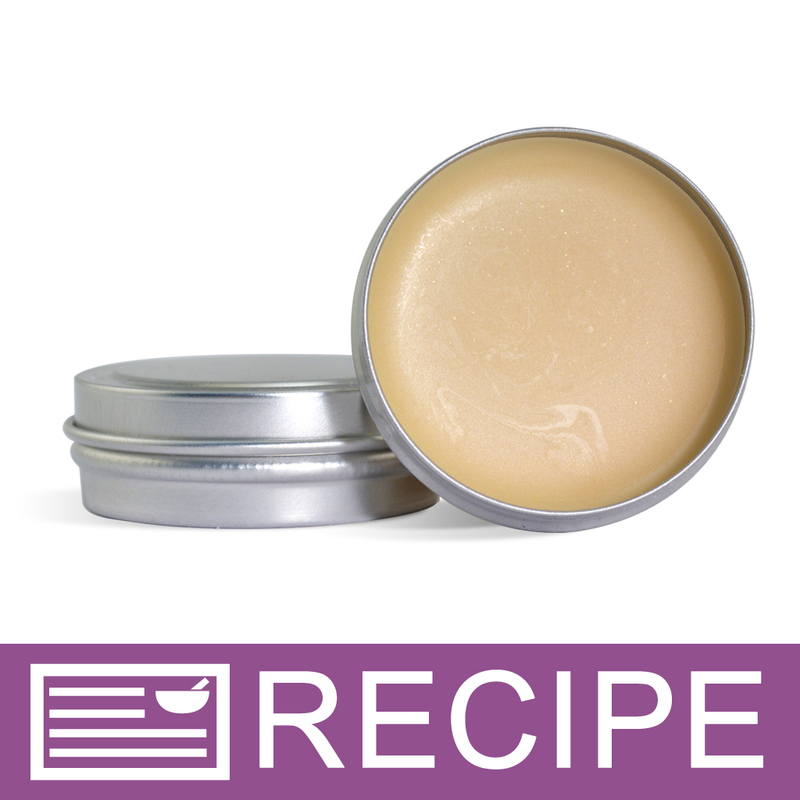 It made the balm feel so much smoother and gave it a very pleasant scent. COMMENTS: I love this NFO! It smells light and sweet, but the scent still comes out nice and strong in soap. I saw someone had commented their bottle smelled stale. I did detect a slight note of something a funky too, but it seems to go away once its blended into your product. Over all, this is an excellent one and smells delicious! COMMENTS: Before I line my lips, I'll dab a bit of this baby onto my lippies and massage it in. It leaves my lips super smooth. I've found that lip balms that are too waxy can be made smoother, more silky when this sensual summer honey is added. I also like the fact that when added to a whipped soap sugar scrub, it adds a subtle honey scent and makes the product more delectable to the skin during wash. I love it as a hair mist because it gives hair that shine and the scent is just perfect. Blending with this baby is sooooo super easy and there are so many possibilities. Thank you again WSP for another amazing creation for the sweet honey lovers in all of us! "The best honey fragrance I've com by." COMMENTS: OK this is as close as you will get to finding a true honey scent.It has a 1st note of beepollen,and very light blossom flowers.Then the 2nd note is the sweetness of honey.It's allmost as if your smelling fresh made honey from a close by field of flower blossoms It's very good. COMMENTS: This is the best honey scent ever! I only wish I had purchased a larger amount from day 1. It has not nutty "aftersmell." It has no hint of anything artificial! Your customers will come back for more!! Don't hesitate to try it! COMMENTS: A great substitute fro real honey. Ift has a light fragrance, but it does definately smell like honey. I used it in my candy corn bath bombs and they were a great seller. I also use it in lip balm to sweeten it up. "Can this be considered 100% natural? I am looking for a honey essential oil to boost the honey component of my all natural soap but I need to be careful that I can continue to market as 100% natural. I use only essential oils for fragrance, so would this product comply to that ? Thanks so much ! " Staff Answer As stated in the name of this fragrance, it is certified 100% natural so would fall within your product guidelines. It is not all essential oil but does contain soybean oil which is stated in the Certificate of Compliance for this product. "How much of this FO would you use in Bath Bombs?" Staff Answer We usually add between 0.5-1% fragrance to bath fizzies. "Is this fragrance oil vegan or is it derived from real honey?" Staff Answer Since this is 100% natural, it is very possible there could be honey related ingredients in this fragrance. Since ingredients are proprietary, we would have to say this is not vegan. 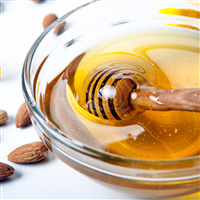 "Will you get the benefits of real honey with this fragrance oil since it is natural?" Staff Answer If you look at the Certificate of 100% Natural, it will tell you that this is an All Natural Fragrance Blend consisting entirely of Essential Oils and Resins and Naturally Derived Aroma Chemicals. This is a fragrance only and would not give the same benefits as real honey. 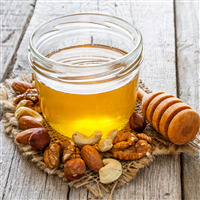 "Since the Summer Honey Fragrance is Certified 100% Natural, do I have to dilute it with a carrier oil before putting it in my body butter for my customers?" Staff Answer No, you do not need to dilute this fragrance before adding it to a body butter. "Since this is all-natural wouldn't this be considered an essential oil or essential oil blend?" 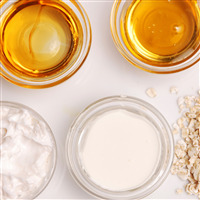 All natural oils aren't necessarily essential oils. Essential oils are a natural oil usually obtained by distillation and having the scent of the plant or other source from which it is extracted. Staff Answer They may also contain natural resins, aroma molecules and base oils.